Last year, my wife and I had our son climb up on our bed early one Saturday morning with the most amazing idea I ever heard from a four year old. He said, “Mommy and Daddy, I want to go to school for robotics engineering at Carnegie Mellon University”. In amazement, I asked, “How do you know about Robotics Engineering at Carnegie Mellon buddy?”, and he proceeded to show me how he searched for the topic on the Youtube for kids app on his iPad by utilizing the microphone speech technology. From that search, he watched numerous videos discovering the academic program at CMU. More recently, he has shown incredible creativity in Minecraft creative mode, as well as a basic graphical game creation app on his iPad. His desire to create his own apps lined up perfectly with a product that I began to research, and have received to review. Bitsbox coding kits are a new way of teaching kids to code while being creative and having fun. No dry subject material or incredibly large books of boring lecture style code. 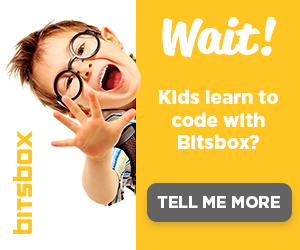 Each Bitsbox is packed full of fun activities that help kids learn to code in a way that works for them. I received the Super Powers kit and quickly jumped in with my son to test the system. The kit included a notepad, stickers, a super hero cape, and a 19 page full color book with 18 apps to code. My son was eager to put on the cape and get started building apps, so we got started with the first mini app in the book. With two lines of code, my son was ready to run his first app. The look on his face of excitement to press run and watch the virtual tablet screen come alive was amazing to witness. Once he ran the first app, he was hooked on learning and as we worked on longer apps, I began to teach him how changing the code slightly can give different results and with creativity, the apps can take on a new look and feel. There were a few things that I did not really think about that would result in teaching my five year old to code. One is just how creative he would get with creating apps. I also did not think about how much he would learn about typing on a keyboard, and where the keys are by typing the code character by character from in the book. Beyond that, I did not anticipate how much fun it would be to work with my son while he learns to code. This I am sure is based on the incredible system that the Bitbox team has put together to make learning to code fun. The experience took me back to the excitement I had as a kid when I would buy a magazine, and character by character type in pages upon pages of code to create a BASIC game or program. That was an amazing time in computing, and Bitbox has brought that aspect back with their fun learning system. To find out more about Bitsbox, and how you can get started helping your child become a coding Super Here, Click Here. Thanks for every other magnificent post. Where else could anyone get that kind of info in such a perfect way of writing? I have a presentation next week, and I am on the look for such info. 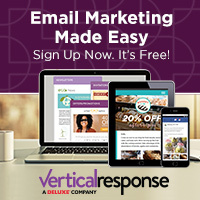 I’m commenting to make you be aware of of the helpful experience my wife’s daughter found checking your web page. She discovered such a lot of details, including what it is like to have an ideal coaching heart to have others really easily fully grasp several multifaceted subject matter. You really surpassed visitors’ expected results. Many thanks for churning out these warm and helpful, healthy, revealing and in addition easy tips on that topic to Evelyn.